However, I’m willing to admit that there are some B2B brands which benefit from a Facebook presence, and the marketing community is split as to whether Facebook makes sense for B2B. Some marketers say yes while others say no. In the end, it seems the right answer is just that it depends. The benefits of a Facebook page for your B2B brand depends on your marketing strategy, your products and services, your business type, and your audience. Here are some questions to consider as you contemplate creating a Facebook presence for your B2B brand. 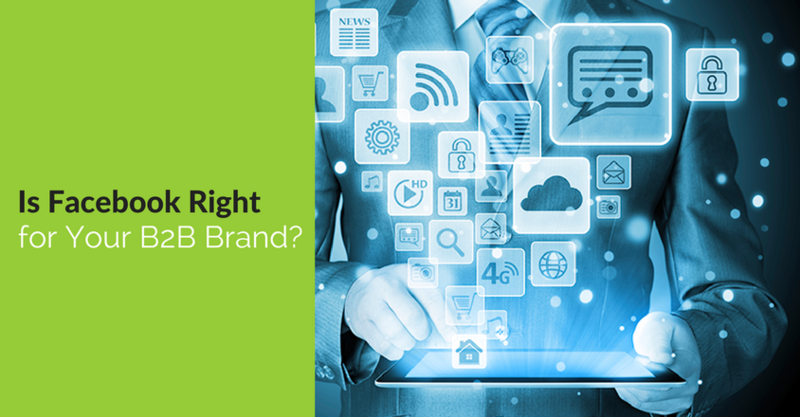 For many B2Bs, the answer to this question is no. Sure, their customers are on Facebook, as so many are these days, but they log on for personal reasons rather than to learn more about a B2B’s products and services or to engage with B2B brands. 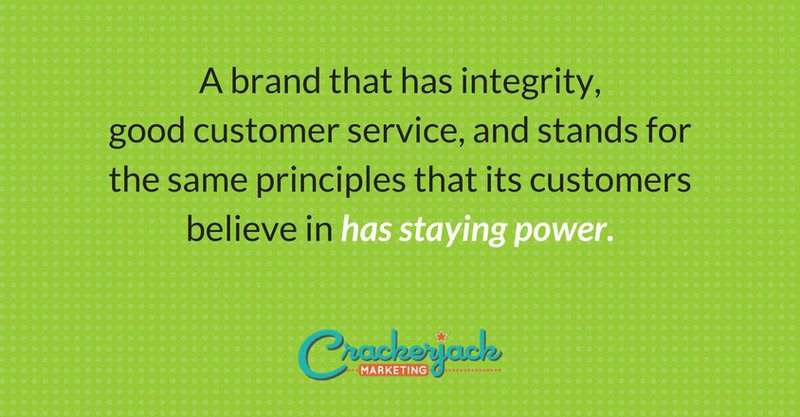 In such a case, Facebook might not prove beneficial for your brand. However, that is not the case for all B2Bs. Some B2Bs, particularly marketing services organizations, do find success on this social media platform. You may benefit from a presence if you know your audience logs on to find content related to the types of products and services you provide. Will Facebook help you foster emotional connections? You hear it all the time: social media is about more than just posts, links, and pretty images. It’s about community building and establishing an emotional connection (engaging) with your customers. You know your business and its customers best. Do they want an emotional connection with your brand? Would they appreciate a sense of community? If so, Facebook may be right for your B2B. With some B2Bs, however, their customers just aren’t interested in this type of connection – or at least not on Facebook. Some B2Bs find that creating a customer-centric Facebook Group is more beneficial than a Page in terms of relationship building and customer service. Can you be creative and think outside the box? Facebook is a content hog, and prioritizes visual content in particular. If you can get creative, you may find creative ways to make Facebook work for your B2B brand. Y Scouts, a small executive search firm in Phoenix, figured out how to make Facebook’s prioritization of visual images work for them. 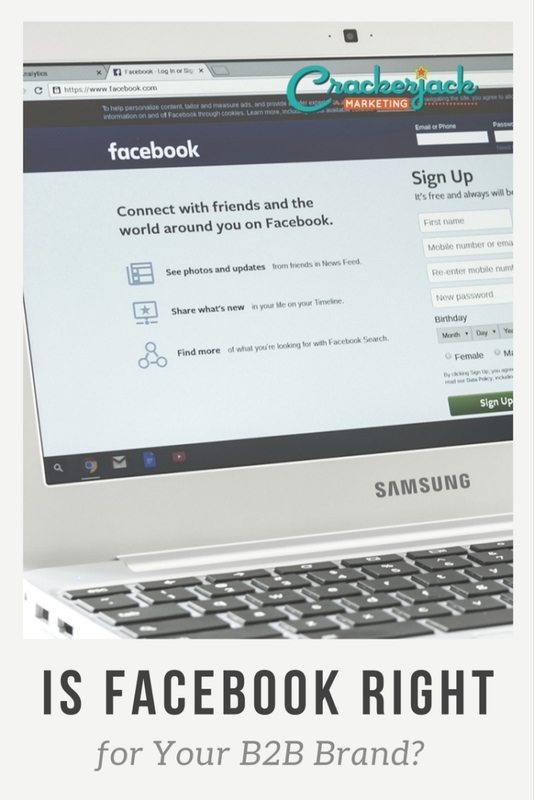 Do you have a budget for Facebook? Even without a strong Facebook business page presence, you can still utilize Facebook’s very powerful ad targeting to get your content in front of your likely audience. Sponsored Stories, Promoted Posts and Offers can help you drive downloads of your content, signups for a promotion or free trial, or offers for discounts for your B2B products or services. As with any social media (or any marketing) efforts, keep in mind that your Facebook efforts will only prove worth it if you have the resources, including time, to apply them. Facebook is not a magic bullet – and B2B marketers will have to be extra creative to generate good results.